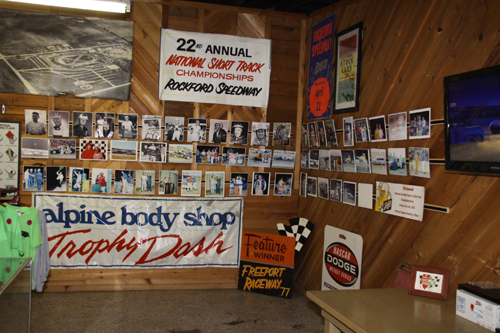 Racing memorabilia can be view from years past within Rockford Speedway's souvenir stand. 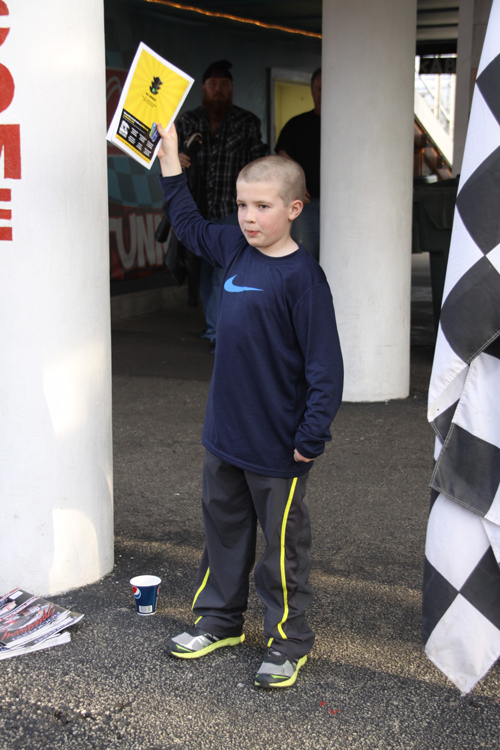 His voice can be heard as you arrive at the famed Rockford Speedway, shouting out "PROGRAM....GET YOUR LUCKY NUMBERED PROGRAM......PROGRAM HERE." 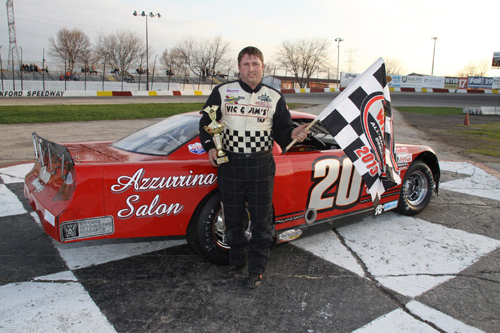 Picking up a Trophy Dash win is Steve Rubeck, #20 Monroe Center, Illinois. 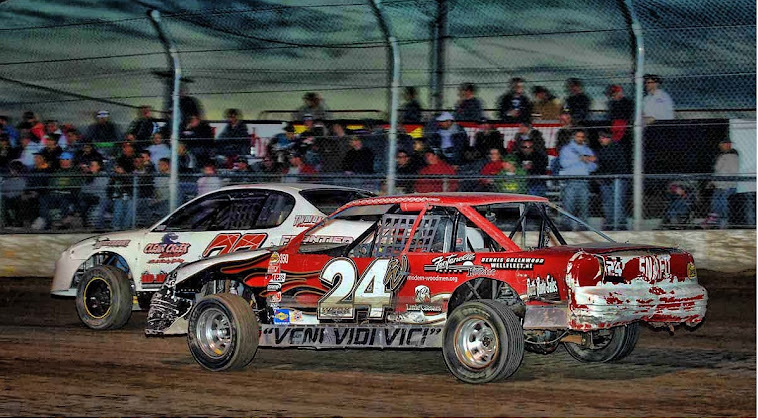 Racing action in the RockStar RoadRunner 20-lap feature saw two by two and three wide racing throughout the event. 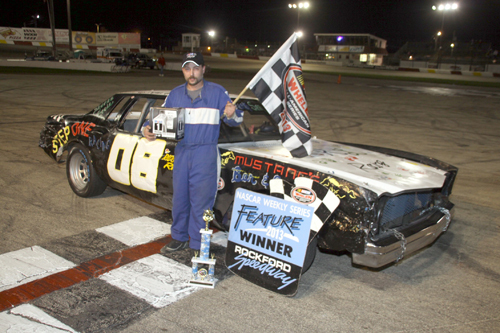 Dennis Smith Jr #08 South Beloit, Illinois, raced his way into victory lane in the RockStar 20-lap RoadRunner feature. 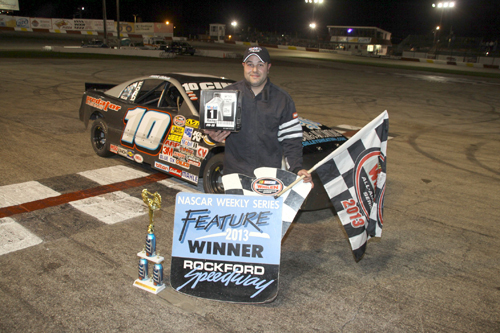 Nick Cina Jr #10 Belvidere, Illinois showed dominance over the field of Miller Lite American Short Trackers to claim the 25-lap feature. 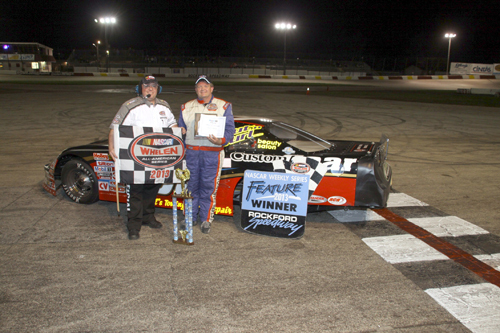 Track Champion 2012, Jerry Gille once again found his way to victory circle as he posted a strong win in the Stanley Steemer NASCAR Late Models. Pictured with Gille is tracker starter Jeff Stringer. 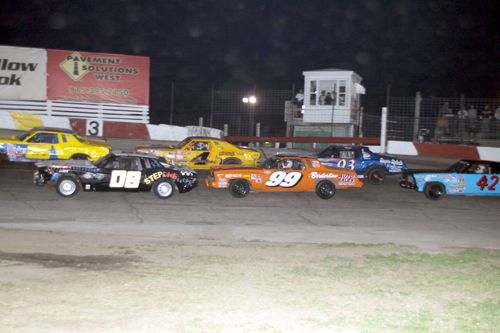 The 'wild and crazy' Figure 8 Spectacular, provided close calls and wild racing. 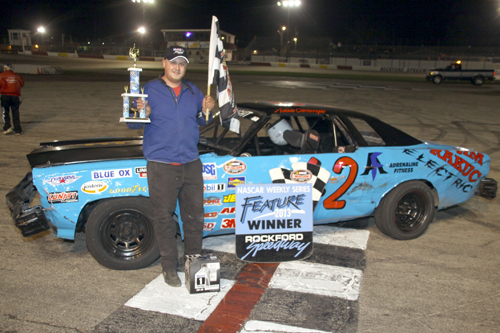 In the end, Adam Cartwright #42 Belividere, Illinois posted the first feature win in the division for 2013.